The Be A Champion Basketball Camp, located in San Francisco, CA, teaches youth in 4th to 9th grade the fundamentals of basketball, as well as the mental aspects of becoming a champion athlete. Our philosophy challenges kids to put their whole effort and understanding into the details of basketball, academics, and the way of life. Under the Be A Champion foundation, we stress that kids be a champion of character and class on and off the court. Our goal is to provide an affordable and accessible service to everyone in the community. Through scholarships and other monetary assistance, we hope to give all kids an equal opportunity to attend our camp. Our goal is to create a player who is not only talented, but is also a student of the game. The Be A Champion Basketball Camp is designed to offer your child the individual attention deserved in learning the techniques and skills to becoming a better basketball player. This camp teaches the importance of offense through ball movement and player efficiency. At the Be A Champion Basketball Camp we will focus on the basic fundamental of a successful offensive game. The fundamentals of the “jump shot,” dribbling, passing, setting screens, and basic playmaking are demonstrated and practiced to help you become the complete player that every scout looks for. In the game of basketball, defense wins championships. At Be A Champion Basketball Camp, we will teach you the basic techniques of defensive positioning and effectively stopping your opponent. The players that excel in the game of basketball know that good defense creates better opportunities on offense. You can only be a good basketball player if you are a good defender. 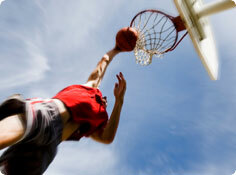 Conditioning Basketball is a strenuous and physically demanding sport. The most important part of a player’s effectiveness is his or her ability to stay on the court for a prolonged period of time. At Be A Champion Basketball Camp, conditioning drills and techniques will be applied that will help you improve your stamina, quicken your step, and strengthen your game while learning to avoid serious injury. Kareem Guilbeaux is the founder and director of the Be A Champion Basketball Camp. Kareem Guilbeaux was raised in San Francisco and attended St. Stephen’s and St. Ignatius College Prep before attending San Jose State University. Kareem graduated with honors from SJSU in 2006 after he lettered in Basketball for four years. Throughout his youth Kareem played for various CYO and Park and Rec championship teams in San Francisco. He attended St. Ignatius College Prep where he excelled in Basketball and in life. His accomplishments on the court were augmented by what he learned in the classroom and he realized early that success relies as much on hard work as it does on talent. He worked hard to maintain the necessary balance between academics and basketball and with his talent; he helped lead his teams to winning seasons and league championships. St. Ignatius Student Spokesperson for Diversity Recruiting. What should the campers wear? Athletic shorts and a t-shirt or jersey. The T-shirt may be sleeveless. The shorts must be athletics shorts. No cut off shorts or cargo shorts are allowed. Also basketball shoes are a mandatory. 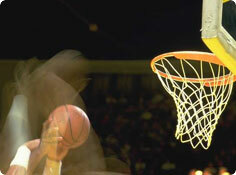 Non-basketball shoes do not offer the ankle support or the durability that a basketball player needs. Without this, the player is more susceptible to injury while playing. Just a good attitude and the desire to become a better player. How much time in advance should I bring my camper? It’s a good idea to drop your child off 15 to 30 minutes in advance. No we do not, however, it will be a good idea to have Gatorade, water, or any other beverage that will properly hydrate an athlete. Sure, we encourage parents to watch their children! Should my child stay the whole day? If your child has the desire to play and learn the game of basketball, then we encourage it. Remember we do not provide lunch, but we do provide snacks and beverages. The administration fee is a $50 dollar non-refundable processing fee that is included within the $125 cost per session. It is not an additional cost or hidden fee.